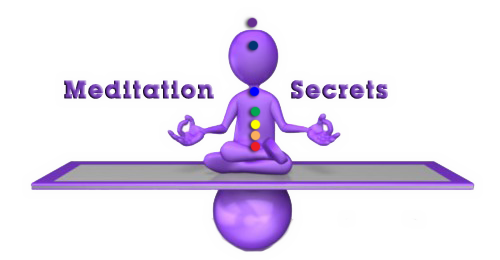 Following find the seven meditation secrets that will give you a comprehensive introduction to meditation. It's ideal for anyone with an interest in meditation, self-growth and personal development. Meditation is no 'quick fix' as far as personal development is concerned. I'm sure however that you've seen lots of quick-fix, "wealth without work" approaches to personal development. It's often claimed that you'll experience exotic states of blissful meditation and/or that you'll quickly bring about transformational changes in your life. While I'm sure some programs have something to offer, I also know there is no real short cut to LASTING transformation and happiness. Meditation and mind-body training in general require PRACTICE. Those people that practice usually find the rewards are well worth it. If you practice correctly and you are committed to the process, the odds of achieving the results you're looking for and very good. I recommend you set aside some time each day for your practice. Ten minutes a day is fine to get you started. But the most important thing is that you make it fun so you enjoy it and practice consistently. There are many possible positions for meditation namely the lotus position, half-lotus, sitting on a chair or cross-legged on the floor or lying down. Some prefer to sit on a cushion on the floor while others prefer a standing meditation. Whatever position you settle in, your posture must be full and open and your back straight. A bad posture is uncomfortable and will make you feel restless. When your posture is good, you will feel more comfortable and your practice will be so much more enjoyable. Sitting or standing in a good posture makes the inside of your body come alive. Energy flows more easily through the body. Good posture promotes natural, spontaneous healing. Make good posture an inseparable part of your practice. In fact, make good posture part of your daily life! Listen to your own body and do what is natural and feels right for you. Remember that if you feel discomfort in any way, that is a sign that what you are doing is NOT good! Meditation should NEVER be forced. You should let the meditation happen in a relaxed and comfortable way without forcing or directing it. The main thing to remember is to pay attention to your body. Make sure that what you are doing is natural and feels right for you. Finally, you can now learn and understand all the key factors, including meditation which is fundamental when it comes to "how to heal with energy?" The above is a question that I have been asked a multitude of times during my healing career and by developing "Own Your Health - A Practical Course to Understand Healing with Energy" this question will once and for all be answered simply and easily. Many people feel a sense of fascination when confronted with the possibility of mystic visions, psychic intuition and heightened mental functioning. I mean who wouldn't? Remember while meditators often report these sorts of improvements, these experiences should not be the primary reason for practice, otherwise we might lose ourselves in the fantasy. The true purpose of meditation is peace of mind and to bring us back to ourselves. As we become healthier, happier and realize greater self- awareness, the other benefits of meditation begin to follow naturally: improved mental functioning, greater intuition, as well as greater access to unconscious resources and abilities. Meditation is not work in the sense that you have to 'force' yourself to concentrate completely for long periods of time. If we consciously try to prevent thinking, it's going to have a negative impact on the meditation. Always remember that meditation should be natural. Whenever we become lost in thought or confusion, we simply acknowledge those thoughts and then gently return the attention to our meditation cues (breathing, mantra etc). We do this as many times as distraction occurs. Thoughts and feelings are part of meditation practice. It's our relationship to our thoughts and feelings that we're training. With practice, the mind becomes calmer and discursive thought disappears. A peaceful mind is achieved not through forcing the mind but through the act of quiet surrender. Insight alone will not transform our lives. Meditation is likely to help us by giving us larger perspectives and increase clarity of thought. But even though our sense of inner guidance might become stronger, unless we act on that guidance, we will never manifest the changes we truly want in our lives. This doesn't just mean we need to take action in our outer world, for example, having an honest conversation with a friend or paying a bill. It also means we must actively request the assistance of the unconscious in a clear and persistent way. When you do that, as is taught in "Secrets of Meditation, Health and Manifestation," you find yourself magnetically drawn toward your dreams with an irresistible impulse. Once you have made your request, it's important that you let go. Don't be concerned with how you're going to get what you truly want in your life. Needing to know how can hamper the process of making it manifest in the outer world. Learn to trust the deeper part of yourself. Some changes - perhaps all of them - will happen automatically. I have personally found that many of my destructive habits simply dropped away with minimal conscious effort. For me, this was achieved not by self-discipline and will power, but rather a "letting go." So we realize that spiritual growth is a natural process powered by parts of ourselves that know more than we can understand consciously. As we let go consciously and receive more input from these parts, we learn to trust this feeling - this feeling that we are in safe hands and that something amazing is about to happen. Try meditation yourself with the Jacobson's Progressive Relaxation Procedure and Visualizing and Meditating with Color two very easy and effective places to start. Meditation Share - Share your meditation or experience with others as we could all benefit and learn from one another.